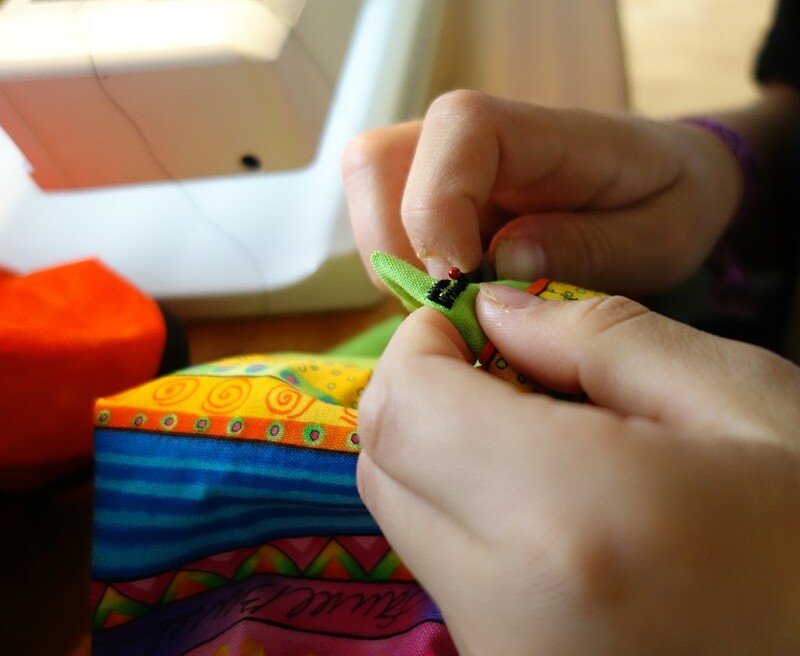 It is called a needle grabber, but it is not one of those small rubber pads used to grab the needle when hand quilting, – this is quite different, and is perfect to use on sewing machine needles. It is spring loaded, and when the flat end is pushed, a small hook appears at the other end. You grab the needle with the small hook and then release the spring. The needle stays firmly in the needle grabber, and is easy to remove from and/or insert into the machine. As my fingers and I are getting on in years, the task of changing the needle has become increasingly difficult. Also, the new machines have lamps positioned right above the needle, which is lovely when you are sewing, but they also get quite hot and may burn the fingers while you are fiddling with the needle. The needle grabber spared me both the fiddling and the burning, and getting the needle out and in again was both easy and very quick. I saw this gadget described in a newsletter I am receiving, but it was not easy to find online as my search mostly turned up the rubber pads. 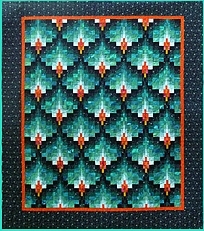 However, Ute-Barbara at Quilt-Design ordered it especially for me, and I must say I am very happy with it. It is definitely going to live close to my sewing machine from now on. This is long overdue, but better late than never. 1 Most people had casings that were ok, – no sharp edges or corners, or level differences where different parts of the casings had been fitted together. 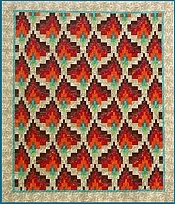 2 Some had either sharp edges/corners or level differences, or both, in varying degrees, but have not seen this as a problem for various reasons: don’t quilt, don’t free motion quilt, use Fab-U-Motion when free motion quilting, use Suprem Slider or similar product to reduce friction. 3 A very small number have casings similar to mine and think it is a problem, but for various reasons had not complained or reported back to their dealer or to Husqvarna. I wish to thank everyone who replied either online or privately, – you have been a great help. I reported my finds back to the Husqvarna representative, and received a reply that they were still looking into the matter, and he would inform me when they had reached a conclusion. A few weeks later I got an e-mail informing me that the factory now would have a greater focus on the fitting of the casings, and that the ones with the sharper edges could be returned for either new casings, or new fitting of the old one. Long before this conclusion was reached, my dealer offered to swap my machine for one with a better fitted casing, which I think was very generous, considering that at the time, she did not know whether she would get the old one fixed/reimbursed or not. Below are photos of the old and new machines, showing the difference. Both are Sapphire 870Q. There is still a very small level difference beside the needle plate, but the corner is not sharp, so it is not a hindrance when quilting. Considering all I had read about other problems with these machines, I was also a bit apprehensive about getting a new one, as my first machine did not show any of those common problems. So far this one has had no tension problems, but there may be some issues with the cutter, as it does not cut the thread every time. I have to try it out some more before I have it looked into, but from what I have read elsewhere, this may be easy to correct. Other than this, I am very satisfied with the machine so far, and will soon be doing some serious free motion quilting on it to really put it to the test. I have found the VikingSapphire group at Yahoo.com to be very helpful and informative when troubleshooting these machines. Last autumn I checked out this machine at a local dealer, but did not buy it right away. To my total surprise, my lovely husband had gone and bought the machine as a Christmas present, and I was very excited to try it out in the new year when the tree and decorations had been packed away and I finally got my sewing space back. 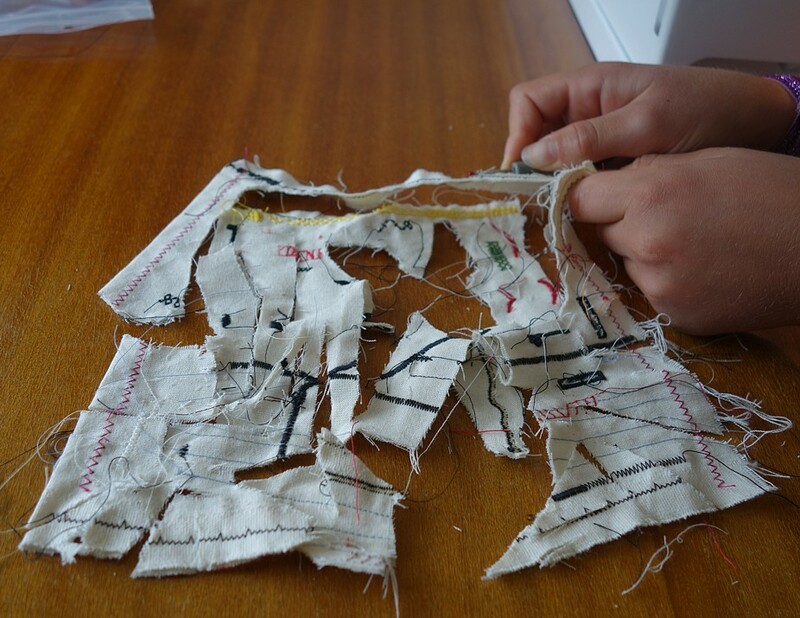 All you quilters know how we like to stroke and pet our sewing machines, – as well as our fabrics, – but when doing so with this one, something was not quite right. I have been sewing on several Husqvarna machines since 1982, and have been getting used to the smooth surface and rounded edges. This one felt different, though, – at the back of the free arm there was a nasty sharp edge, next to the toolbox. But worse, – the plastic casing at the end of the free arm was not quite flush with the casing around the needle plate, but was rising towards the back, the edge ending in a very sharp corner at 1-1,5 millimetres above the needle plate. See photos below. 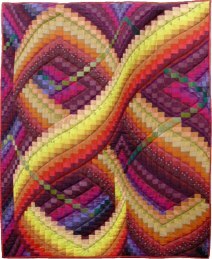 The sharp edges and corner interfere with the flow of movement when quilting, especially when free motion quilting. The corner sometimes snags on the fabric, especially when moving the sandwich diagonally towards me and to the left. Of course, I assumed this must be some manufacturing error, and when contacting the dealer, she first suggested buying the acrylic extension table to see if this made things better. I was not able to go myself at the time, so my husband picked it up when in town, so that I could try it. I found that to avoid the raised corner, the table must be set higher than the free arm, so I still do not get a flat, smooth surface. I finally got the chance to visit the shop and have a look at the other machines there. I was curious if this problem was unique to my machine. There was no other 870 machine in the shop at the time, but I looked at an 850 which seemed perfectly all right. Then I spotted the same irregularities on a Topaz nearby, and later the dealer found the same thing on her Designer Diamond at home, – she does not quilt, so had not noticed before. I wrote a letter of complaint to the importer, which she forwarded, – describing the problem and including the photos above. We got an immediate response that they were going to look into it. Last week, two months later, I got a phone call from a Husqvarna Viking representative, questioning me about how this was a problem, and stating their point of view on the case. The main points being made were that the casings for the Sapphire, Topaz, and Diamond are all cast in the same mould, so they are all identical, and changing the production would take a long time, six months at the very least, so nothing could be done about my machine now, except taking it in to look at it. Next, more than two thousand such machines have been sold, and only two persons have complained about this, namely my dealer and I. According to the representative, all the other 2000 quilters are happily sewing along on machines identical to mine (identical casings, that is), without any problems at all. This may be correct, by all means, but I found it odd that so many people would really be content with such unevenness on the machine surface, so expressed some doubts about this last statement. Of course, we, the public, have no means of knowing the number of complaints they get from around the world, as such things are never published, – naturally, – so we either take the information at face value, or make our own enquiries. 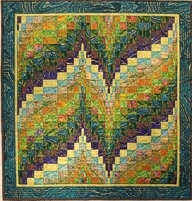 I therefore informed the representative that I would like to find out about this from the quilters themselves by asking around in the sewing forums on the internet. Frankly, I am a bit puzzled by the whole thing. I mean, why would a manufacturer make expensive sewing machines with bells and whistles enough for a whole orchestra, and then skimp on the polishing and fitting of the casings? From what I have seen when testing the machine so far, it sews beautifully (no problem when the fabric moves only towards the back), and it has many desirable features, – not least the big harp for quilting, which tempted me in the first place. I would love for this machine to function properly, but as it is, I dare not use it for any serious quilting. It is a shame, and I am writing this post in a hope to find that there really are Sapphire 870 machines out there with better fitted casings than mine. Since many forums do not allow photos attached to the posts, I am putting the pictures up here for easy reference. 1 Does the casing on your machine look like it does in the photos above? 2 If not, where (country) and when (approximate) was it purchased? 3 If it does look like mine, do you feel it interferes with the quality of your sewing/quilting? 4 If yes to number 3, have you complained about it (to your dealer or other Husqvarna Viking representatives)? I would be thankful if you would either leave comments to this post, or email me privately at aefoerde at online.no (replace the at with @ and remove all spaces). Of course, you can also reply in the forums where I have posted about this issue.